Apparently, today the skies opened up today in Anchorage and the snow fell. Everyone has been sending me photos of snow and what I am in for when I get back to Alaska next weekend. 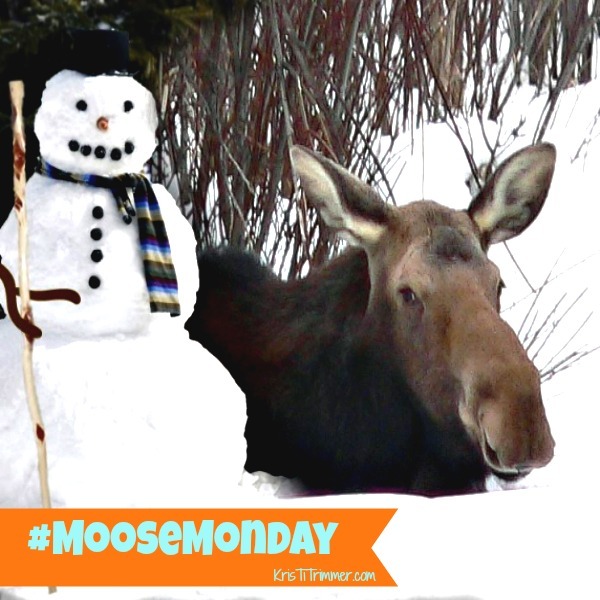 This is the first moose photo that isn’t mine, but I thought it was fitting. Happy Moose Monday, my friends. It is a Snow Day! I think these Moose Gloves need to be on my hands when I get off the plane. Aren’t they totally adorable? What do you think about these Moose Hat with Antlers, could I pull it off? It looks mighty warm!